With a rich buttery shortbread crust and a thick layer of tangy lemon curd on top, these zesty lemon bars are packed with robust lemon flavor. How tart versus how sweet you prefer the lemon filling to be. Whether you like a firm or soft filling. What kind of crust, and what crust-to-lemon topping ratio you prefer. My recipe is a perfect 1:1 crust to filling ratio. It’s thicker than most lemon bar recipes, which makes each bite more flavorful and satisfying. The base is a crumbly buttery shortbread. The richness of the shortbread contrasts beautifully with the fresh tart citrus taste. The lemon curd is zesty and not too sweet, which emphasizes the lemony flavor. It’s firm enough to hold its shape when sliced, yet it still lusciously melts in your mouth. See how easy it is to make these rich and tangy, full of flavor, thick and gooey super fabulous lemon bars. Preheat oven to 350F and line a 8×8″ square baking pan with parchment paper. Toss flour, powdered sugar and cornstarch together. Cut in the softened butter using a fork or pastry cutter until mixture is crumbly. I used a fork in the video, but it’s much faster with a pastry cutter or pulse with a food processor. Press onto prepared baking pan and bake for 10 minutes. Meanwhile, whisk together the eggs, sugar, lemon zest and lemon juice. Slowly add in the flour, whisking quickly to prevent lumps. Pour over hot crust and bake for another 25 minutes or until the lemon filling is set. Let stand at room temperature to cool and chill in the refrigerator for 2 hours. Dust with powdered sugar before slicing and serving. Cut into 9 squares or 12 bars. Lemon bars can be refrigerated in an airtight container for up to 5 days. I made these this weekend, following the recipes, exactly. They are perfection – they taste so fresh and the lemon flavor is an amazing complement to the delicious crust! Thanks for sharing!! If I would double this recipe, What size pan would I use? Would 9 by 12 be okay? Yes a 9×12″ or 9×13″ pan would be fine if you were to double this recipe. Enjoy and feel free to email me back if you have any other questions! I was really in the baking mood earlier today so I tried these out and they turned out amazing! The lemon taste is so pure and present! I love these lemon bars and everyone else does too. I’ve made them many many times. They are so easy to make too. Thanks so much. You’re very welcome, and thank you for your kind words! Have a great day. I followed this recipe to a T and for some reason they didn’t set at all 🙁 i put them in the fridge immediately after they came out the oven and i left them for over two hours but they just never hardened up. i even left them in the over a tad longer, maybe 2 or 3 minutes. any idea what happened? the taste was amazing, the texture was just really runny. Hmmm, the filling should have set during the baking process? Did you add the 1/2 cup of flour to the filling and baked it for the suggested time? The filling should have been firm when you took it out of the oven. Puzzling??? I’m not sure what happened there. Sorry I can’t be much more help. I baked these egg free (using 1 tablespoon chia seed and 3 tablespoons water for each egg) and olive oil instead of butter. I also baked in a 9.5″ diameter glass pie dish. Overall, tasted delicious, but for some reason my crust wouldn’t stay with the filling…Maybe because of the shape? Or I didn’t wait long enough for it to cool to room temp before refrigerating? I will most likely bake this again but reduce the filling sugar down to 1 cup and maybe grease the pan insead of using parchment paper. It was probably the olive oil. If you prefer not to use butter, I recommend substituting with 1/3 cup solid room temperature coconut oil and cut it into the dry mix as you would with butter. Feel free to email me back if you have any further questions. Have a great day! Aww, thank you for your kind words Teresa. I’m glad you liked them so much. Have a great weekend! Lily, these Lemon Bars look just perfect and they taste just perfect as well! You did a great job! 2 thumbs up! I was wondering is the cornstarch necessary? Because in many other recipes they did not use cornstarch. Oh these lemon bars are so yummy!! I made them for a special New Years Eve dessert. This is the first recipe I have tried from Little Sweet Baker. (I also decided to add a tiny bit of vanilla extract just for fun.) Thanks so much for a new favorite! Next time I’m going to try making the chocolate chip muffins. You’re very welcome Sarah and please do try the muffins. You won’t be disappointed, it’s my most popular recipe. Happy New Year and all the best to you in 2017! I had a big sale at school and this was the perfect recipe. It came out beautifully but I did need to put in some yellow food coloring for a nice yellow look. I would have liked more crust on them though to have a more balanced ratio of filling to crust. Thank you for this awesome recipe. Have a nice day. did anyone make it? is it very sweet? could the sugar be reduced? Oh yum! Great video Lily I need some tips!! We love lemon Lily and these bars look amazing! I love the thickness of the filling and just pucker up with the thought of biting into these beauties! My mouth is watering about now …those look so full of flavor and so pretty. 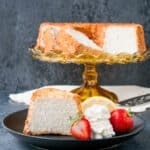 These look sooo good, I love how thick they – more lemony goodness in each bite! You have made these look so lovely that even though I don’t generally do ‘lemony’ flavours I feel like I need to sink my teeth into one! 🙂 I love your great instructional video too – very clear. Thank you so much for sharing with us at Fiesta Friday this week. 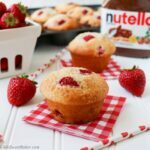 Do you think the recipe would work with something like freshly squeezed strawberry or raspberry juice? These look simply delicious Lily!! My little one loves all things lemon & I’m gonna make these soon! Great job on the video btw! !